Patti K. Klingbeil, 58, Beaver Dam and formerly of Marinette, found eternal peace on Wednesday, Feb. 6, 2019. 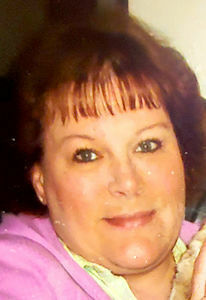 Patti was born on Sept. 8, 1960, the daughter of Leroy and Lavinia (Pitzner) Klingbeil in Watertown. She attended Watertown High School. She had been a CNA while residing in the Marinette and Peshtigo area and a server in restaurants in Beaver Dam. Patti was a sweet lady with a great sense of humor. She loved watching classic TV shows and caring for her beloved cat, Mischa. She was a great cook and was known for cooking enough to feed an army and delighted in giving it to those she cared about. One of Patti’s greatest joys in life was talking about her children. Patti is survived by her daughter Nicole Klingbeil of Peshtigo, and her son Brandon (Britney) Pashek of Gillett. She is further survived by her sister Diana and her brother Roger, other relatives and friends.